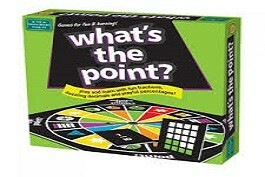 Finally, a Tennessee Traffic School that gets you what you need in a way that works for you! With the help of our partners at I Drive safely, you can now enjoy all of the benefits of a Tennessee driving safety course from the comfort of your own home. An online Tennessee traffic school course is available right here, right now. This Tennessee Department of Safety approved driving safety course is available from Memphis to Knoxville, Nashville to Chattanooga and every city in between. The 4-hour defensive driving course is easy, convenient, and affordable and the materials are designed to be both educational and fun. This online course is accessible anywhere, whether you currently reside in Tennessee or not, as long as you have access to the internet. Tennessee Driving Safety - What’s In It For Me? This course is approved by the Tennessee DOS and satisfies the traffic school requirements to dismiss a ticket anywhere in the state of Tennessee. We know you are busy. In fact, if you hadn’t been in such a hurry to get done all you needed to get done, you probably wouldn’t even be here right now. Now those 2 minutes you were trying to save on your drive has turned into a lot more time. We feel your pain, and that’s why we want to help! Traditionally, traffic school has been done in a hotel ballroom, restaurant or some other driving school location. Instead, this course is online and self-paced. Complete your course on your own schedule. Log in and out as often as you like. 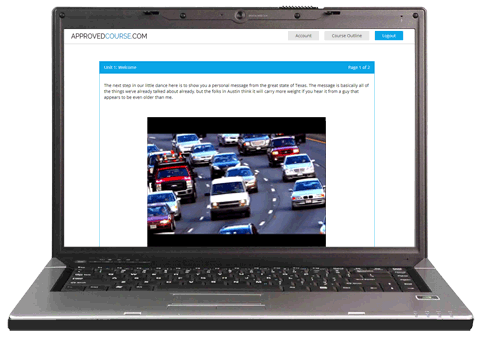 With an online course, completing traffic school the traditional way is a thing of the past. Hop on, log in, work while you can and log back out. We'll even save your place until we see you again. Could it be any easier? An online traffic school course not only allows you to take care of that pesky ticket but may help you lower your auto insurance premiums. Many insurance companies provide discounts to policyholders who have completed traffic school. Check with your agent for details. In fact, even if you don’t have a ticket to dismiss, you could be eligible for these discounts so you should give your insurance guy a call, too. After you have completed your course, we will drop your certificate of completion into the mail that very same day. If you are really pressed for time, you can choose one of our expedited delivery options to keep the judge happy and get you started on saving that insurance money sooner. We have designed everything to make your life easier and to keep this “one more thing” from making your life any harder than it needs to be. And we’ll be there the whenever you need us. Feel free to call our customer support team anytime, day or night. Remember, our Tennessee defensive driving course is your fast, friendly remedy for being too friendly and fast! How Does Traffic School Help Me? There are a number of benefits to taking a Tennessee traffic school course. The obvious may be the reason that brought you here in the first place - to dismiss a ticket. Getting that ticket gone keeps your driving record clean and that is always a good thing. Perhaps the biggest reason this is a good thing is that a ticket on your driving record is going to cause your insurance rates to go up. As if just paying the ticket wasn't cost enough! In fact, traffic school will not only keep your rates from going up, it may even make them go down. Many insurance companies offer discounts to policyholders who have completed traffic school. Beyond these benefits, traffic school just may give you some refreshers and reminders that will make your driving safer and who could ask for more help than that? DOS Approved for All Tennessee Drivers. Get Started Today!